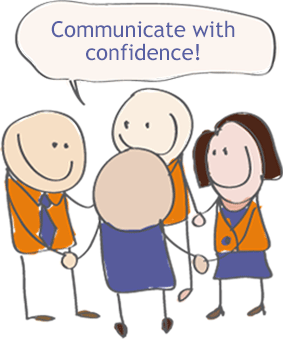 Helping people to communicate confidently and effectively, to reach their potential - and beyond! Email Cynthia or phone 07788 709 143 if you would like further information about any aspects of communication, speech and language. We believe that the encouraged child is the child who learns best. Therapy is carried out through play and through fun activities. Find out more about speech and language services for children. Learn to like your own voice, and present and communicate in a way which engages your audience, ensuring that people listen. Find out more about language and communication coaching for adults. The Magic Link handwriting programme® is a fun, simple, structured, 30-step course. Suitable for adults and children. The Magic Link handwriting programme changes writing from messy and illegible to neat and flowing. This programme teaches joined-up, cursive handwriting in 30 simple steps. Writing becomes more enjoyable and self-confidence increases with the Magic Link method. Author of 3 books. Cynthia's books are works of advocacy, in which she speaks up, through the use of engaging fictional narratives, for those who cannot speak up for themselves as a result of their speech, language and communication needs.